Over the years, antiques have been passed down from generation to generation, from one antique shop to the next, and from flea markets all over the world to your home. With the volume of households antiques have been in over the last 50-100 years, is it any wonder any of it is still in mint condition? In the United States, collectors often want their antiques to be flawless. In other countries, some damage is more accepted. I am often asked, “If I buy an item that is restored, does that make the value increase?” That’s a loaded question. It doesn’t make the item worth the same as if it was still in “original” mint condition. However, it can certainly increase the interest in a potential buyer. Should I restore my things? It all depends on the type of item you are talking about. To replace missing stones on a piece of jewelry, yes! Should I refinish an American Highboy, probably not. What’s a handy item to have when out antiquing? A black-light! This handy little tool can help you detect if a piece of glass, pottery, porcelain or a painting has been restored. Take the item and the black-light into a dark room. Turn on the portable light and hold it over the item. Wave it from side to side and look for any spot to “jump” out at you. If something seems to stand out, there might be some issues with the piece. What if you want to buy a piece that needs restoration? Should you buy it, or should you pass? In many cases, if an item is damaged, you can expect the value to be 10-20% of what it would be worth if pristine. If an item is rare, that percentage would change. So if you just happen to love the item, and it is priced accordingly, then by all means, buy it and enjoy it! However, if your plans call to restore the item, you might contact your local restorer first to determine how much it would cost to repair it. Restoration is often not cheap, and even though you are getting an item as a cheap price because of damage, the restoration costs might bring the total investment to the same or close to what you would have to pay if the item was in mint, original condition. With all this said, where do you go to have your antiques restored? For simple restorations, you can do a search online for “antique restorer (insert your city/state here)” and there should be plenty of restorers in your area. If you have a bigger project, or an expensive item you want to make sure is restored properly, contact your local museum and speak with the curator in the department that exhibits your type items. Recognized 20th Century Decorative Arts Expert and Appraiser. As seen on CBS “The Early Show” and NBC’s “The Art of Collecting”. Haines has written numerous articles and books on collecting. Her most recent pubication is “Collecting Wristwatches” for Krause Publications which comes out April 2010. Reyne is a frequent appraiser on PBS Antiques Roadshow. Many of us have a favorite sofa, wingback chair or love seat that we wouldn’t think of parting with, but really needs some repair. Maybe the fabric is worn or the wood finishing has tarnished or the cushioning has gone flat. Or maybe, tucked away in the spare room or attic is a cherished antique or family heirloom that you have always wanted to restore, but didn’t quite know how to go about it. There is a significant difference between repairing and restoring furniture. With a repair we are achieving functionality of the furniture piece, ensuring that it will now work as originally intended. Replacing broken or squeaky wood members, torn upholstery and flattened or disfigured cushioning would be included here. This can bring on a new life for an otherwise well-worn or even beat-up piece of furniture. Simple repairs on furniture can sometimes be done at home by someone who is handy with tools, re-gluing a broken chair leg or replacing a screw or bolt. But repairs involving refilling cushioning or replacing upholstery should be left to a professional upholsterer. With fine furniture and antiques, one may desire to go a bit further, into restoration of the piece. The main goal of restoration is to bring back the original appearance of the furniture, as well as its functionality. Furniture restoration can be as simple as a light cleaning to remove disfiguring dirt or grime, or it may include an almost complete rebuilding or replacement of the piece. Restoration can even extend into conservation of the furniture, which is aimed at preserving the piece against future deterioration. Restoring furniture properly not only requires extensive technique and an understanding of the history of the item, it is also an art form. For many people, there is little value in an antique that is unusable or not able to be displayed, but most would still like the item to reflect an aesthetic that shows its age. An over-restored item can actually take away from its originality and perceived value. Restoration of wooden furniture can involve a number of steps such as paint stripping to reveal the natural wood, sanding to remove knocks and scratches, joint repair and gluing, the reduction or elimination of warping and bowing of individual frame wood pieces and other steps as needed. All wood surfaces should then be sealed with a deep coat of penetrating preservative to protect the old, and usually, dry wood. In the finishing process, it is generally desirable to match the original patina of the wood. The patina is the natural sheen on wooden furniture produced by age, wear and polishing. Harsh stripping can remove this naturally-aged finish. If the original patina-look is not desired, then a finish which retains the essence of the piece and its time period should be created. Producing an aged finish requires a fair degree of skill, however. The finish also acts to preserve and protect the furniture. When the finishing is done, the piece can now be reassembled or put through whatever reupholstering is needed. Reupholstering fine furniture and antiques usually involves complete restoration. Beginning with the removal of all of the old fabric and padding right down to the frame, any necessary repairs can now be done and reconstruction can begin. Traditional padding materials and techniques are used to ensure authenticity. This includes the installation of fresh webbing, retying or replacing coil springs, burlap, hair pad, cotton padding, buttons and tufting, channel backs, and adding any new cushioning required to restore the original shape and usable state to the furniture. The right selection and matching of fabrics, leathers and patterns is critical to a properly finished or restored piece. Each piece of furniture is unique, and should be worked to achieve the finished product desired. When restoring fine furniture, and particularly antiques, it will be found that each piece has its own individual character, history and challenges. Therefore, no two pieces are handled with exactly the same procedures. Techniques will vary somewhat to accommodate the individual needs of each piece of furniture. The complete restoration of a furniture piece usually results in far better quality than what is commonly available on the market today. Custom upholstering, for example, that provides an unlimited selection of fabric textures, styles and colors to choose from is far superior to any ready-made factory furniture. Furniture restoration, professionally done, not only ensures that a piece retains or increases its perceived and monetary value after restoration, but more importantly it creates a beautiful and functional piece of furniture that can add character, color and renewed life to a room. And that, many will agree, is the real beauty in restoring a cherished piece of fine furniture. David J. Currie Upholstery has been servicing clients in the Western New York area since 1980 and is skilled in all facets of furniture repair, restoration and conservation. It provides expertise to antique and fine furniture owners, including private clients and antiques dealers. Currie Upholstery services include replacing fabrics and cushioning, polishing and repairs, period and hand-rubbed finishes, touch-up and color matching, chair repair and re-gluing, French polishing, reconditioning existing finishes, gilding and frame repair, faux finishes, hardware and metal polishing, furniture refinishing, stain removal, mold and mildew removal, repairs to chewed furniture, and inlay and carving repair. The shop provides free estimates and in-home consultations, and no-charge pick-up and delivery. For more information on David J. Currie Upholstery, please contact David Currie; Phone 716-374-3632; 332 South Elmwood Avenue, Buffalo, New York 14201; email currieo@yahoo.com; www.currieupholstery.com. Normally, if an object is solid silver it will be indicated on the piece. Examples are: Sterling, 925, 925/1000, 900, Coin, Standard, 9584 (English Britannia), 800 (Germany), 84 (Russia), etc.). Most American-made objects are marked on the bottoms of holloware and on the reverse on flatware. Foreign-made objects can be marked most anywhere, and are sometimes accompanied by additional marks applied in the country’s assay office which tests the quality of the precious metal during its manufacture. Rarely will you find a piece made of solid silver that isn’t stamped. If an object isn’t stamped, a non-invasive identification method is judging by tarnish color. 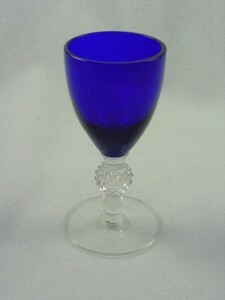 Silverplate will exhibit a blue-purple hue, where solid silver will exhibit grey-black. If you cannot determine if an object is solid silver, consult a silversmith or jeweler who may use an acid test. 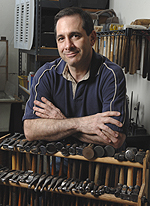 Jeffrey Herman started Herman Silver Restoration & Conservation in 1984, and has built a national reputation of quality craftsmanship and sensitivity towards the finishing of every piece. Herman has repaired & reconstructed everything from historically important tankards, tea services, and tureens to disposal-damaged flatware. And yes, he will also polish a single spoon or fork. He considers himself an environmentalist, using the safest, non-toxic, most organic products whenever possible. I find it’s time to discuss a very troubling trend I’ve witnessed in silver displayed in museums: over cleaning. Years ago, I visited a prominent northeastern museum housing a large and impressive silver collection. Major presentation and historically important American and European silver were on exhibit. I was on a museum tour at the time, explaining to the other silver aficionados in the group how some of the pieces were created. I became alarmed at what I had been viewing: silver objects stripped of every last bit of patina! I soon asked the docent why the silver had been stripped, leaving it so white, so one-dimensional. She replied: “The museum wanted to display the silver the way it looked upon completion by the silversmith.” I pointed out the obvious purple-colored firestain that mottled many of the objects, and that it would not have left the silversmith’s workshop in that condition. That the smith would have “fired” their piece, then given it an acid bath to dissolve the copper from the surface of the sterling, leaving a fine silver finish. Over decades of polishing, the oxidized copper (or firestain) may be revealed. Silversmiths, especially those practicing up through the 19th century and into the 20th, probably would have patinated an ornamental piece, giving it a more three-dimensional look. “That’s just the museum’s policy,” the docent said. I had the immediately urge to confront the museum director and curator of decorative arts, but that wasn’t the time. Much time had passed from that eye-opening day at the museum visit to receiving that letter. It is a reminder of my responsibility to silversmiths long passed, to collectors unknowing of possible impending alterations to their bequests, and to museum decision makers entrusted with preserving our history. Museums are considered the authority of how our objects maintained. If ground-breaking or ill-conceived ideas are made without consulting others in the field (and that includes silversmiths themselves), irreversible mistakes will continue to be made without the public’s knowledge. And if we consider a museum’s policy to be the last word, we will then accept those poor conservation techniques as our own. You’ve just brought home a piece of antique furniture and underneath a bit of grime or an ugly coat of paint, you recognize an item that may be valuable, or beautiful, or possibly both. What do you do next? Will a simple cleaning and restoration suffice? Or would you prefer a complete refinish? How can you decide? The First Step: A Closer Look. Examine the piece carefully for clues about its origins. Search every surface for anything that looks like a signature or manufacturer’s label. If the piece isn’t antique it may still be valuable, and we’ve all seen episodes of Antiques Roadshow featuring refinished American masterpieces that should have been allowed to retain their original patina. If you find a mark that you aren’t able to interpret, take the piece to a local museum curator for an expert opinion before you do anything to the finish. 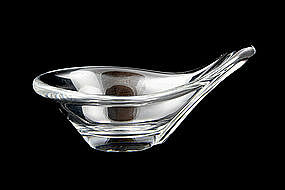 Clean the piece thoroughly and gently using water and a bit of oil soap. Cleaning alone may bring a beautiful piece of antique furniture back to life. Add a little glue to the loose joints and replace the brass fixtures and this may be enough to win over a skeptical spouse and help the new-old furniture find welcome in your home. If you’ve decided to go forward with a refinish, your best and safest option is have the work done by an antique restoration professional. But if you’re comfortable with the risk and have the tools and a ventilated space in which to work, few DIY projects are as satisfying as this one. Furniture strippers are highly toxic to breathe and should not be allowed to come in contact with skin. Methylene chloride based strippers work the fastest, but are also the most dangerous. Gel strippers are a safer and slower alternative, but neither of these options can really be considered “safe.” Work outdoors if possible, wear gloves, and dispose of any rags or stripper-soaked items outside since they’re highly flammable and can spontaneously combust. Always read and adhere to package directions. Furniture strippers develop a waxy skin when exposed to air. This keeps the product from evaporating before it can sink into the wood. So if you’re trying to remove a thick coat of paint, apply one generous layer of stripper—don’t keep brushing or you’ll break the skin and allow the product to evaporate. Then let the stripper work. Be patient. Before it dries, test with a plastic scraper to see if the old paint is ready to come off. If you wait too long and the stripper dries out, just apply another coat. When you’ve tested a section and the old finish comes off easily, go forward and scrape all of it off. 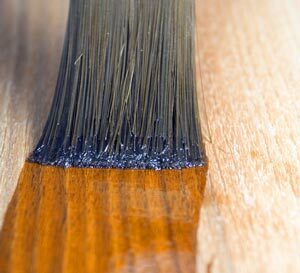 For hard-to-reach grooves and spindles, use a piece of string or a toothpick to work the old finish away. You can go back and reapply stripper to any stubborn patches. After the entire piece of antique furniture is stripped, clean it with denatured alcohol and let it stand for at least twenty-four hours. After that, you’re ready to sand the piece, prime it, and apply a new finish or coat of paint. Research historically appropriate finishes or paint colors if you like. Otherwise you may want to match the new finish to another piece of furniture or an existing room in your home. Remember: just like furniture stripper, varnishes and paints are toxic and should always be used in areas with good ventilation. Read the package carefully for safety warnings, disposal rules and application instructions. Once a piece of glass is chipped, you can’t make it whole again. After all, whether it’s a ‘flea bite’ or a chunk, there’s glass missing that can’t be replaced. Oh sure, sometimes you can glue the piece back in place, but what about the sliver missing from the rim of your favorite wine goblet? When Crazy glue just isn’t an option, it’s time to look for a glass repair person. Now there’s one very important thing to remember: the only way to fix a chip is to remove more glass. Whether you call it restoration, repair, or polishing, it comes down to the same thing. 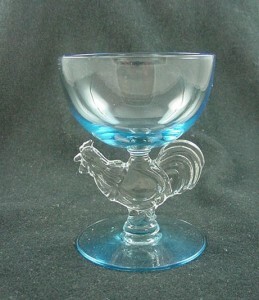 The glass repairman is going to grind down the chipped area and polish it to restore the luster. The amount of glass removed depends on the size and location of the chip, and the skill of your repairman. In some cases, a chip can be polished out so that the repair is virtually invisible. But if the chip is large, you will end up with a goblet that’s shorter than the rest of your set. Then what do you do? Should you throw it out and start hunting for a replacement? At this point, you have to ask yourself two things: 1. Why do I want to repair this piece? and, 2. Am I doing more damage to it than if I left it alone? Let’s answer question 2 first. If you can have the chip removed so that the repair doesn’t compromise the integrity of the item, then it’s probably a good idea to fix it. If the edges remain intact, the etching or decoration on the glass is untouched, and it looks the way it did before it was chipped, then ‘restoring’ it isn’t a bad thing. Glass collectors generally agree that such a repair is acceptable. Now on to question 1. If you’re repairing the item so that you can use it without getting hurt, then repair it and enjoy. There’s a lot to be said for restoring your grandmother’s crystal so that it can once again be used at family gatherings. And given the pioneer spirit of our ancestors, chances are good that grandma would have taken an emery board and smoothed the chip herself. Once again, glass collectors would applaud your decision. BUT: if you’re repairing the item so that you can sell it as ‘perfect’ to an unsuspecting buyer, then I know I speak for the entire glass collecting community when I say leave it alone. Glass collectors have enough trouble trying to keep up with all the reproduction junk that’s flooding the market, and we don’t need the added headache of dishonest sellers misrepresenting things just to make a buck. Do us all a favor: leave the chip alone and get a job at McDonalds. They’re giving out really neat Coca Cola Glasses right now – you can sell them instead.